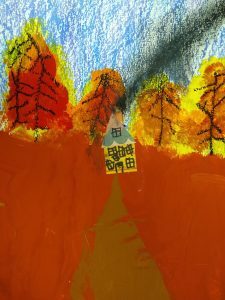 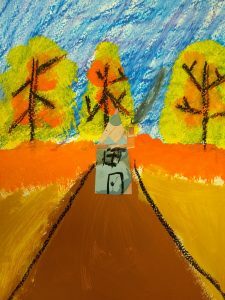 Multi-agers studied a lesser-known painting by famous landscape painter Van Gogh, Avenue of Poplars at Sunset from 1884, and noticed how he made the house look far away, and the person up close. 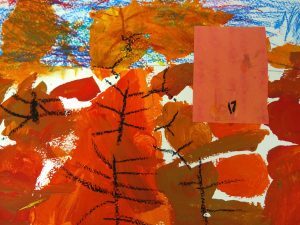 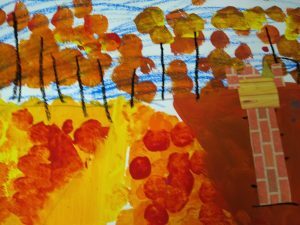 They could also tell that this was a fall painting, based on the color of the changing leaves. 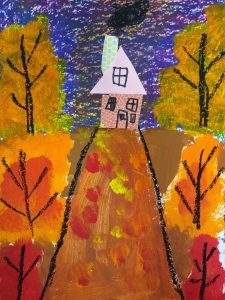 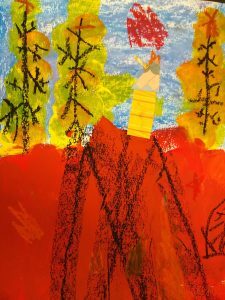 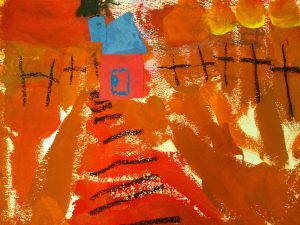 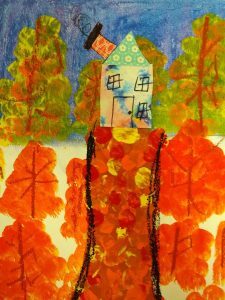 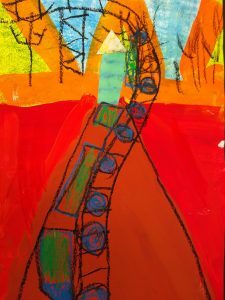 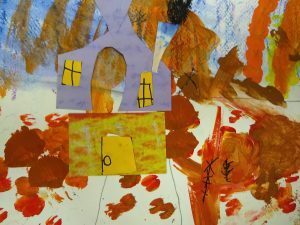 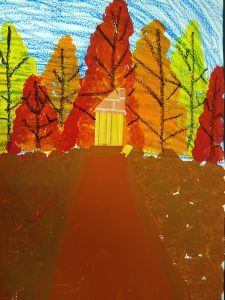 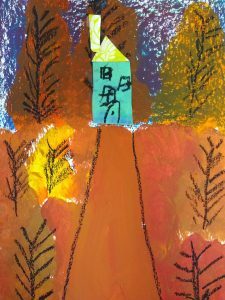 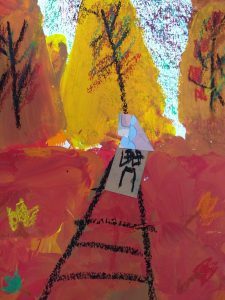 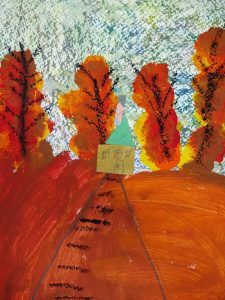 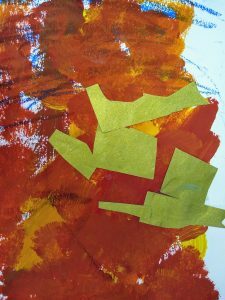 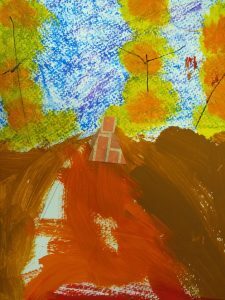 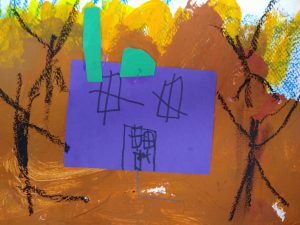 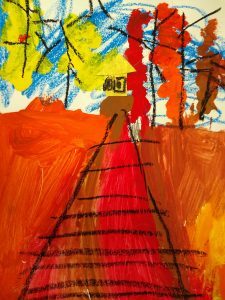 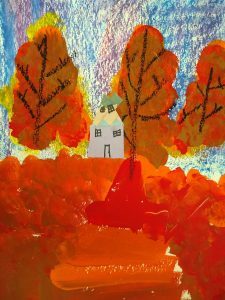 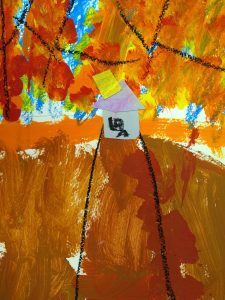 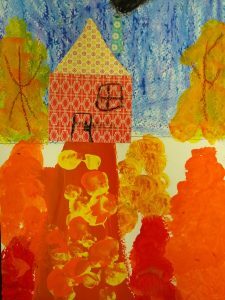 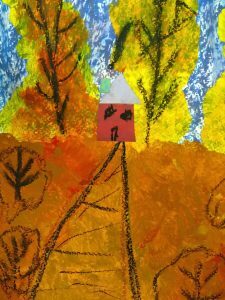 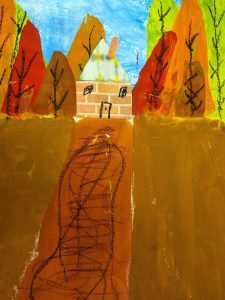 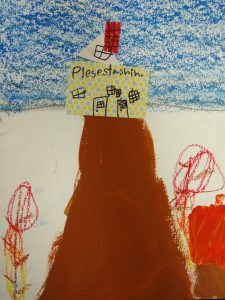 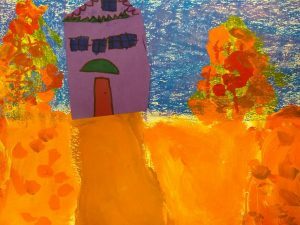 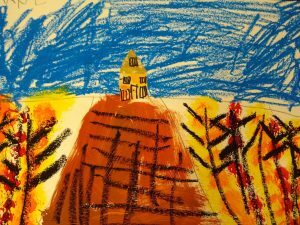 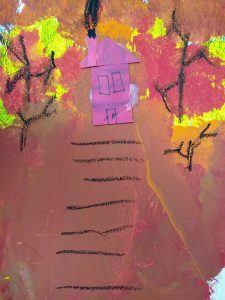 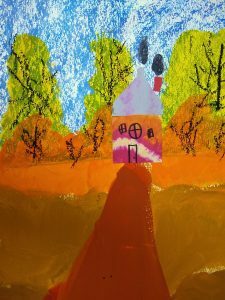 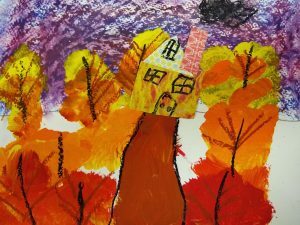 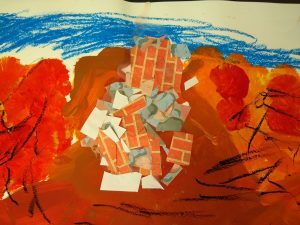 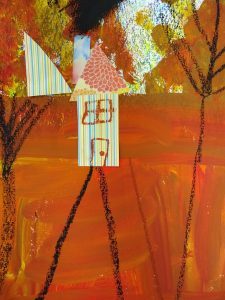 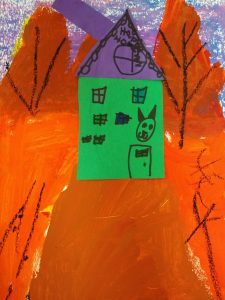 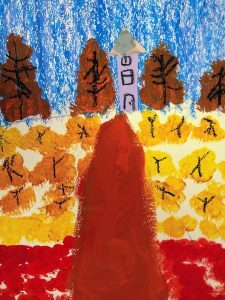 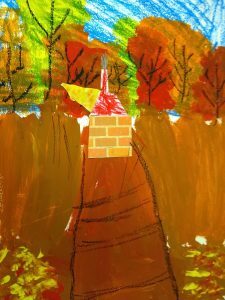 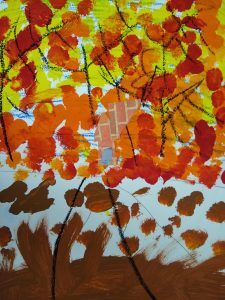 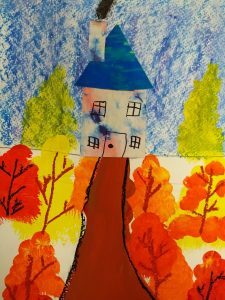 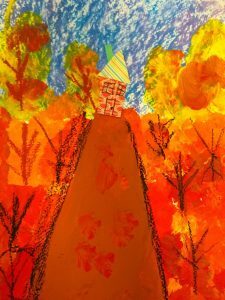 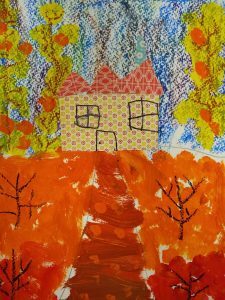 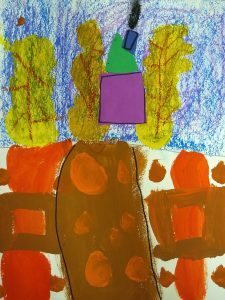 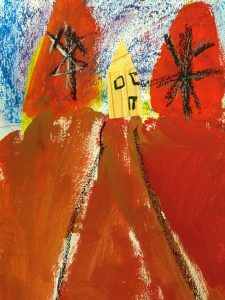 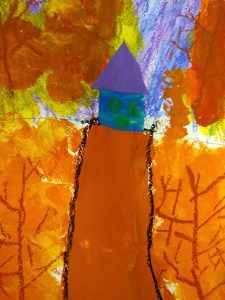 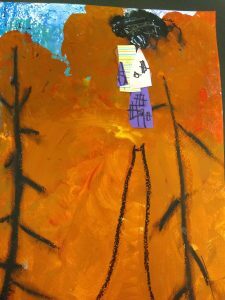 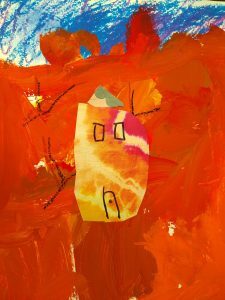 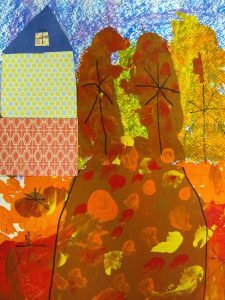 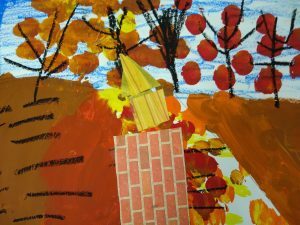 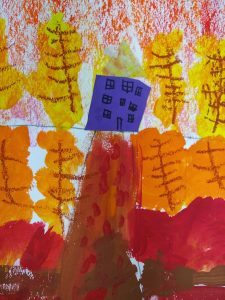 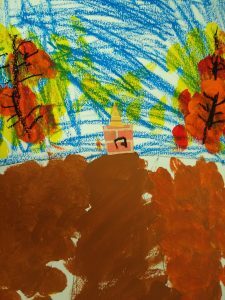 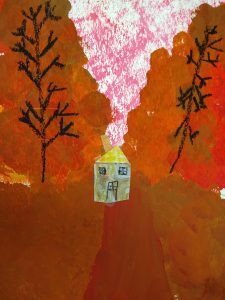 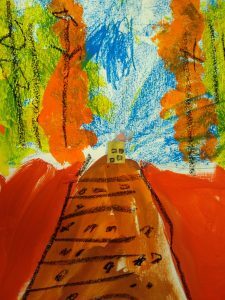 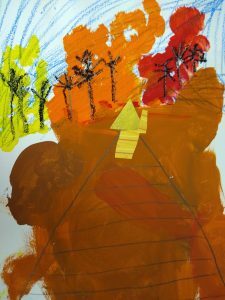 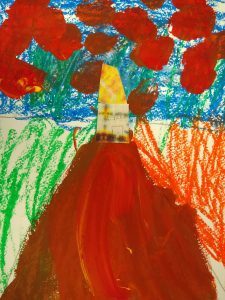 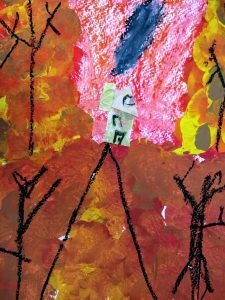 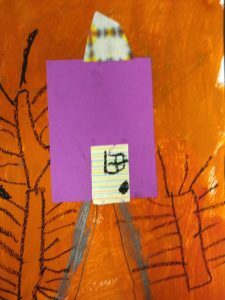 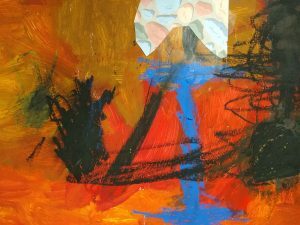 They learned more about landscapes, perspective, and mixed-media while making their own pieces based on this work.